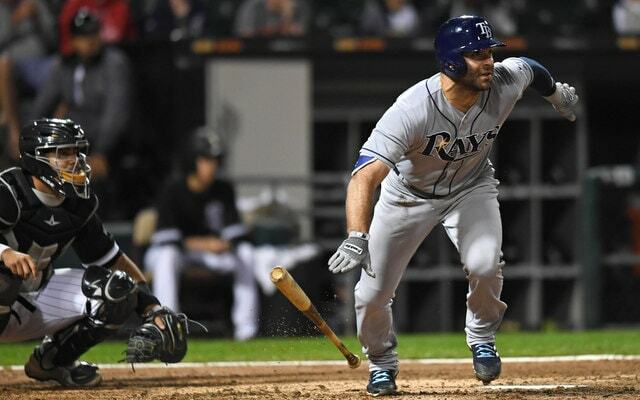 Monday: According to Mark Feinsand, the Yankees have signed veteran infielder Danny Espinosa to a minor league contract with an invitation to Spring Training. He is the second infielder the Yankees will bring to camp as a non-roster player this year, joining Jace Peterson. What does he offer? Espinosa is a more extreme version of Drew. He’s a worse hitter and better defender, plus he’s also played a little first base and left field. And he’s a switch-hitter, which is potentially useful. Keep in mind the Yankees have had interest in Espinosa before. So much so that I once wrote a Scouting The Market post on him. That was back when Espinosa was coming off a few good seasons with the Nationals and seemed salvageable. That interest could linger. Why should the Yankees avoid him? Good gravy Espinosa was sooo bad last year. So bad he was released by two teams. This is a guy who has hit .207/.282/.353 (70 wRC+) in his last 1,839 plate appearances dating back to Opening Day 2013. Espinosa is Brendan Ryan with a lesser glove, basically. At the same time, it would be the most Yankee thing ever for them to sign Espinosa and have him inexplicably hit .280/.395/.500 for two months until Gleyber is ready. The Yankees do not have established starters in place at second and third bases at the moment, though they have several exciting young prospects set to complete for the jobs in Spring Training, most notably Gleyber Torres and Miguel Andujar. Guys like Espinosa and Peterson are safety nets. If the kids aren’t ready, Espinosa and Peterson will play. If the kids are ready, then the kids will play.